Disorderly conduct is a serious offense in Pennsylvania. If you are convicted of disorderly conduct, you may be subject to fines and/or incarceration. You will also receive a criminal record, which can create long-lasting, burdensome obstacles when you are applying for jobs, applying for loans, or searching for housing. In short, a disorderly conduct arrest is a potentially serious legal issue that requires immediate attention from a skilled and experienced criminal defense lawyer. 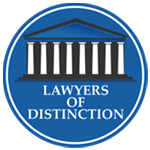 Do You Need a Lawyer for Disorderly Conduct Charges? 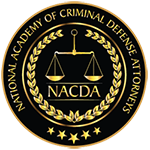 It is vital that you are represented by an experienced criminal defense attorney if you have been arrested for disorderly conduct. You will be up against a prosecutor who has knowledge and training in criminal court procedures. Representation by a defense attorney can help level the playing field and improve the odds of having your charges reduced or dropped completely. If you or a loved one was arrested for disorderly conduct in Philadelphia, contact us for a free, confidential consultation at 215-712-1212. 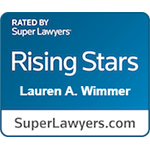 Criminal defense attorney Lauren Wimmer has a track record of success representing adult and juvenile defendants in a wide array of felony and misdemeanor cases. Though less serious than a misdemeanor, a summary offense is still considered a crime in Pennsylvania and can lead to fines and jail time if you’re convicted. Moreover, there are situations where disorderly conduct can be graded as a misdemeanor. Makes an “unreasonable” amount of noise. 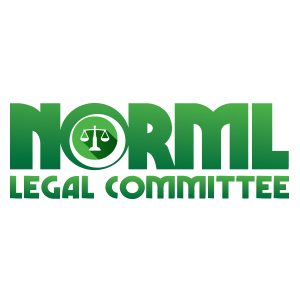 “[C]reates a hazardous or physically offensive condition by any act which serves no legitimate purpose” for the defendant. Despite the complicated language, the fourth type of disorderly conduct, “creating a hazardous or physically offensive condition”, is often used as a catch-all offense for many things that don’t squarely fit into another category. Whether the defendant “persist[ed] in disorderly conduct after reasonable warning or request to desist” – or in other words, whether the defendant continued his or her actions after a reasonable request or warning to stop. If either of these statements apply, the offense will be prosecuted as a misdemeanor; specifically, a misdemeanor of the third degree. Otherwise, disorderly conduct is a summary offense. While other misdemeanor crimes can also be charged in the second or first degree, these classifications do not apply to misdemeanor disorderly conduct charges; third degree misdemeanor is the most serious classification for a disorderly conduct charge in Pennsylvania. As with other types of criminal charges, it may be possible to have disorderly conduct charges dropped or reduced. For a defendant to be convicted of disorderly conduct, the prosecutor must prove, beyond a reasonable doubt, that he or she committed every element of the offense. 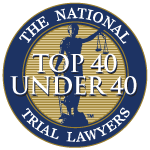 To provide another example, if the defendant is accused of “creating a hazardous or physically offensive condition which serves no legitimate purpose,” it may be possible to demonstrate that there was a legitimate purpose behind the defendant’s actions. Regardless of whether you are facing misdemeanor charges or have been charged with a summary offense, I will investigate every detail of the allegations against you to uncover vulnerable points in the prosecution’s case. We take a proactive and meticulous approach to defending clients, and will devote our law firm’s resources to your case. Don’t face the prosecutor alone. 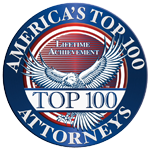 Get help from a tough and knowledgeable Philadelphia criminal defense lawyer who understands what it takes to fight your charges. Contact Wimmer Criminal Defense today or call 215-712-1212 for a free consultation. Protect your future and reduce the impact of what happens in the present. If you, your child, or another loved one was charged with disorderly conduct, you deserve the benefit of aggressive legal representation and a full defense strategy.